We created Co-star with Rihanna as an interactive experience that would allow fans to use their webcams to perform side by side with the pop icon. I was the Digital Design Lead on the project and saw this project from beginning through till the very end. 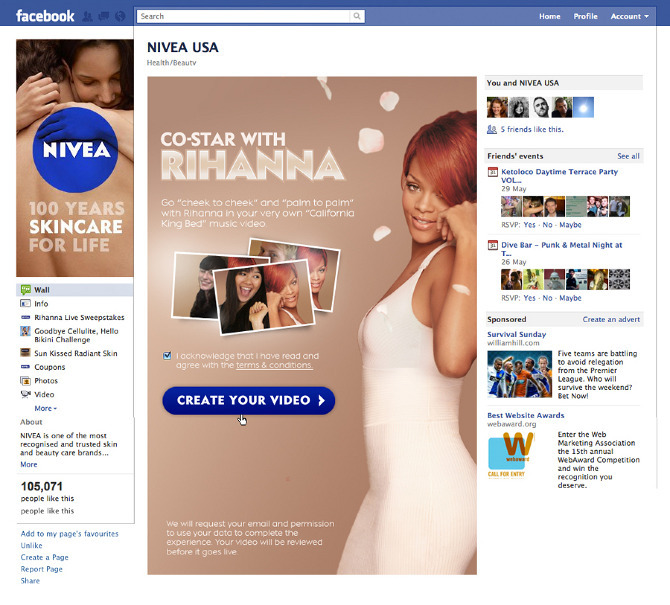 We needed to take NIVEA’s message of closeness to our audience, and to go where they are – Facebook. The solution was to give this audience the tools to co-create something cool with Rihanna that they could then share with their friends. Rihanna’s song “California King Bed” was the soundtrack to NIVEA’s brand campaign, and our digital solution lay in the lyrics of the song. 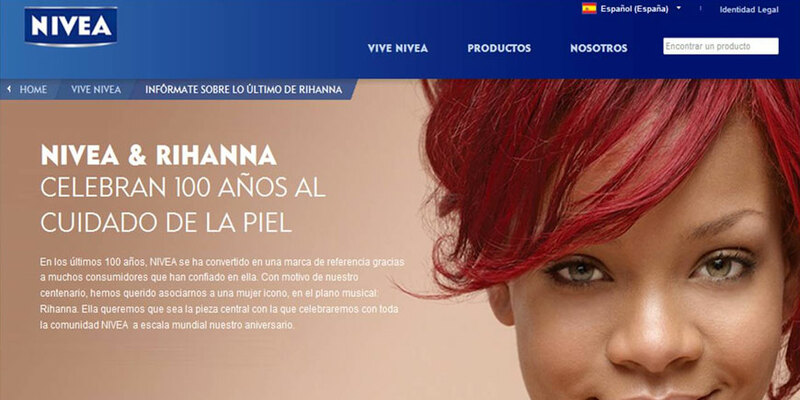 NIVEA needed to allow people to get “wrist to wrist” and “palm to palm” with Rihanna. We chose to treat NIVEA fans to an interactive experience that would allow them to co-star with Rihanna in their very own music video. This and the other NIVEA project were only online for 6 months, however, they achieved over 3 million new fans globally for NIVEA and had over a billion contacts.